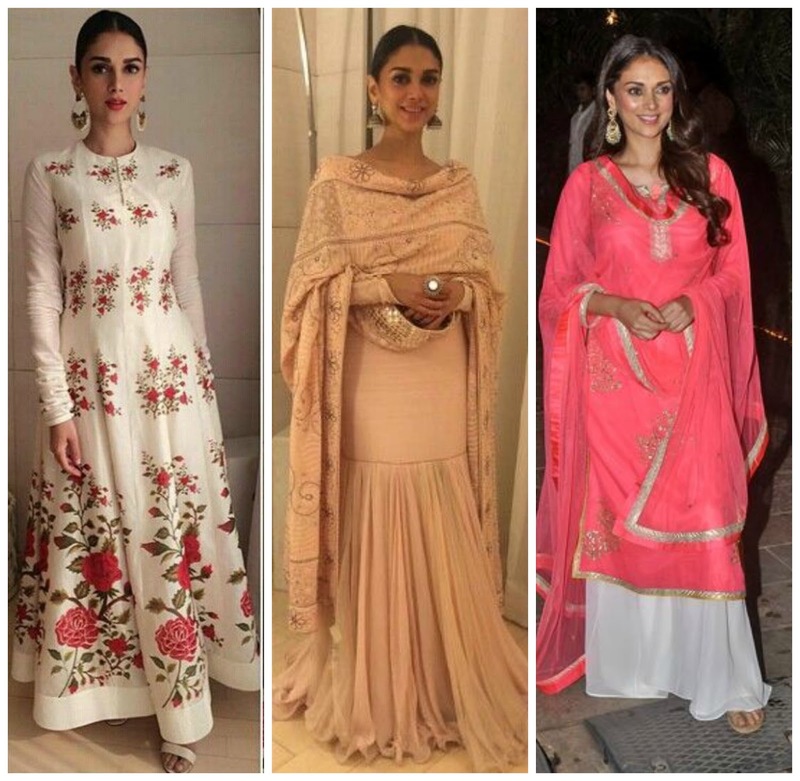 Aditi Rao Hydari's style can be defined as romantic, elegant and effortless. 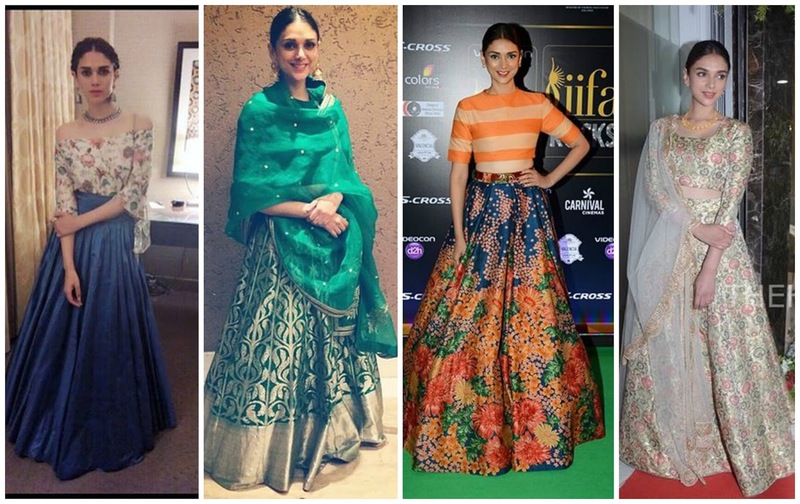 Time and time again Aditi has shown us exactly how to successfully carry off a red-carpet look whether she is dressed in a gown or in traditional Indian wear. She has this ethereal beauty to her which is accented by her amazing taste in jewellery and subtle makeup. I rarely think she chooses the wrong thing to wear, even when she is wearing something I don't personally like, I can objectively say that she pulls it off. I'm not sure who her stylist is, but they are doing one heck of a job! It is no wonder why she is also a popular choice for show stopper at fashion weeks and also delivers amazing editorial spreads. 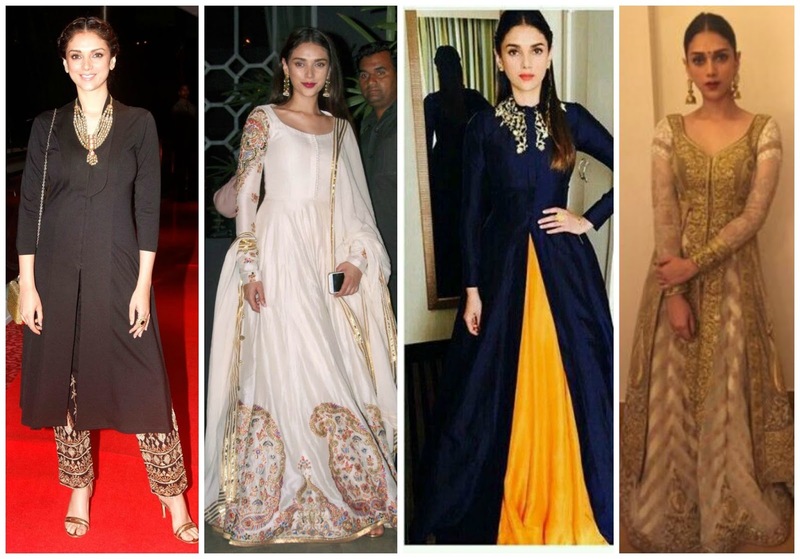 For this post I wanted to focus on her traditional wear in particular as I feel she does traditional the best! Style File is a series on footnotes and finds where we feature a person who we believe has impeccable style. Lovely post! Beautiful traditional oufits! I love this post! She has such lovely outfits and you guys have put together such a great selection of looks!